Pera is in the air somewhere between Auckland and Johannesburg. 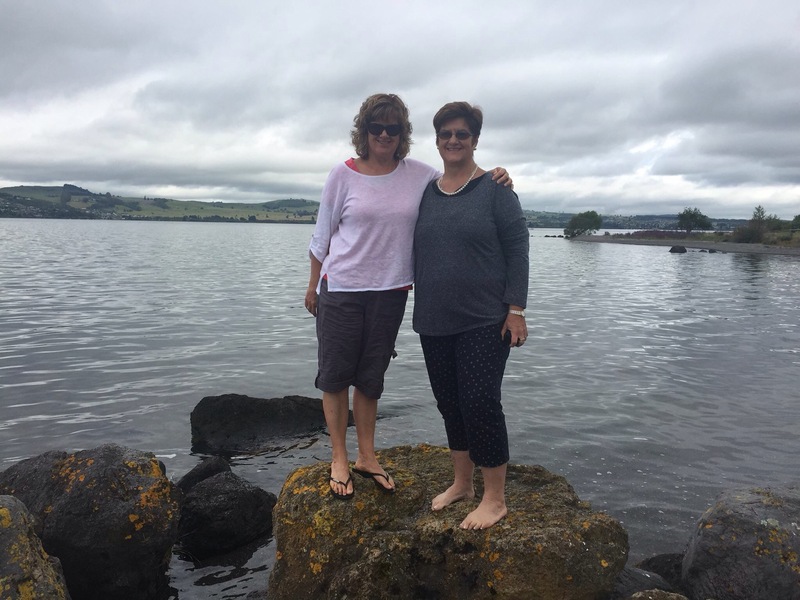 She has spent three weeks in New Zealand visiting her sister whom she hasn’t seen in fifteen years. She lands in Port Elizabeth tonight and comes to Strand tomorrow – Christmas Eve. Sean has been in Plettenberg Bay, St Francis Bay and Nelson Mandela Bay. He, too, comes to Strand tomorrow. Phillip has been in Plettenberg Bay, Bushman’s River and Nelson Mandela Bay. Tomorrow, he will also be coming to Strand. I have been in Nelson Mandela Bay and Kleinmond, and now I am in The Strand, awaiting the arrival of the family tomorow. I flew from PE last Sunday and was fetched in Cape Town by my sister Lyn and spent the rest of that day with her and her family. Then, in the evening, I was fetched by Willem and Gretel Wust and off we went to Kleinmond. Seven days of absolute bliss and beauty – meeting up with old friends (including the Van Jaarsvelds now living in Switserland), eating,drinking, relaxing, walking, swimming, beering, chatting, sitting, house viewing, shopping, Arabelling and etc! Yesterday (Monday), they dropped me in The Strand with my niece Michelle and Sebastian and their family. A frenetic pace of people here – hitting the malls, the roads, the beaches and all getting ready for Christmas! I also managed a visit with Sonja van Rhijn who has MSA and Danie Schoeman. Now we await the rest of the family and put into action the Christmas plans! Christmas 2014 – 2000 years after the birth of that tiny Baby in Bethlehem who changed the face of our World. And as the Jews of that time were all going home, so there are many people who will be on the roads at this time, also going home. Travel safe, my family, and you and yours. Enjoy this time with your family and friends, rest, recharge and review your life as we prepare to enter the next year of 2015. Please give a thought and do a deed for those who are alone and lonely this Christmas time, for those who are diseased, ill and in pain and for those of us who have lost close friends and family members during the course of 2014. Have a very happy Christmas – wherever you find yourself.